suggests that the real problem is arguably quite the opposite. loot their own businesses and stockholders here at home. largest nonprofit, or for that matter, business enterprise in Vermont. Dr. Estes running much smaller and less complex businesses. 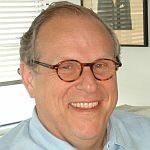 (TAG) You can find more commentaries by Bill Schubart at VPR-dot-net.